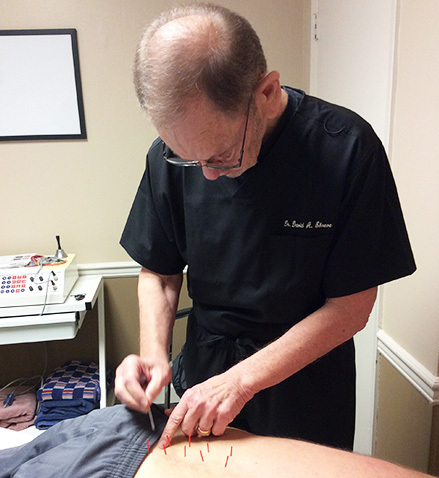 The Bearden Chiropractic and Acupuncture Clinic team offers a broad spectrum of natural healing solutions to help you get out of pain and regain your health. Discover health care the way it was meant to be - with a caring, personalized touch and a thorough approach that suits your needs. Contact us today! In today’s world, health care seems to be focused on covering up symptoms instead of getting to the bottom of your concerns. At Bearden Chiropractic and Acupuncture Clinic, we believe in a different approach. Our Knoxville Chiropractors pay attention to the details, performing one of the most thorough evaluations you’ll ever experience. Then, they’ll create a treatment plan designed to suit your needs. With our many solutions, including chiropractic care, acupuncture, functional medicine, spinal decompression, Class IV laser therapy and more, we’ll use a combination of services to restore your health. Exhausted? In Pain? We Can Help! Though you may think of a chiropractor as a specialist for back and neck problems, we can address far more concerns. At our practice, people with peripheral neuropathy, which can be burning, tingling or numbness in the hands and feet, can benefit from our comprehensive offering. We also see many people with knee pain and offer a unique protocol to reduce pain, inflammation and improve your range of motion. If you have had failed back surgery or fibromyalgia and other chronic pain syndromes, we may be the answer you’ve been seeking. You won’t have to wonder whether we’re the right place for you, either. We only accept you as a patient if we believe that we can help you based on our years of experience. Dr. Shreve is a board-certified chiropractic physician and acupuncturist, in practice since 1978. He incorporates expertise from acupuncture, neurology, endocrinology and blood chemistry to work with the most challenging of cases such as neurological disorders. Dr. Ricketts is dedicated to helping the people of our community, particularly the senior population and those who would like to have a female practitioner on their healthcare team. Our chiropractors have the knowledge and skills to help a range of issues and look forward to assisting you! For just $60, you'll receive a consultation, examination, any necessary X-rays, a report of our findings and a first treatment. Valued at $460, this offer is your perfect opportunity to find out what we can do for you. Don't give up on living the way you want to. Beat your fatigue and free yourself from pain with our natural approach. Very nice staff from front desk to techs and doctor. Look forward to getting a plan together to get me back in the game. I appreciated the doctor wanting to evaluate the medical records I provided him before beginning treatment of any kind. His statement in his online video to “look at the whole picture” was most important in my decision to visit his practice. It was a very good first time experience and I’m confident I can be helped. We appreciate being treated professionally and promptly. I went for my second visit today and I am encouraged by the results of the treatments I’ve received. Everyone in the office is very professional and always pleasant! I recommend your facility to everyone! The doctor is very passionate about his work and very knowledgeable. Explanations given in detail. Great doctor’s and staff! Very good explanation of my problem! All these years I never knew exactly what was going on! Thank you! After less than a year the treatments have increased my core stability dramatically. Thank you! I look forward to my recovery and the benefits of a well aligned spine.